We were so pleased when this national nonprofit partnership contacted us. 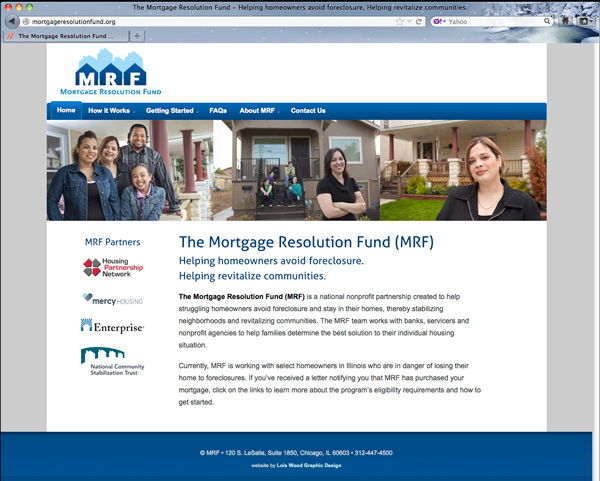 The Mortgage Resolution Fund helps struggling homeowners avoid foreclosure and stay in their homes, thereby stabilizing neighborhoods and revitalizing communities. They needed a website that was appealing to consumers, easy to navigate, and convenient for staff to update themselves. Together we created this fresh, clean, friendly website. Mass. General Hospital IPC Annual Rpt.